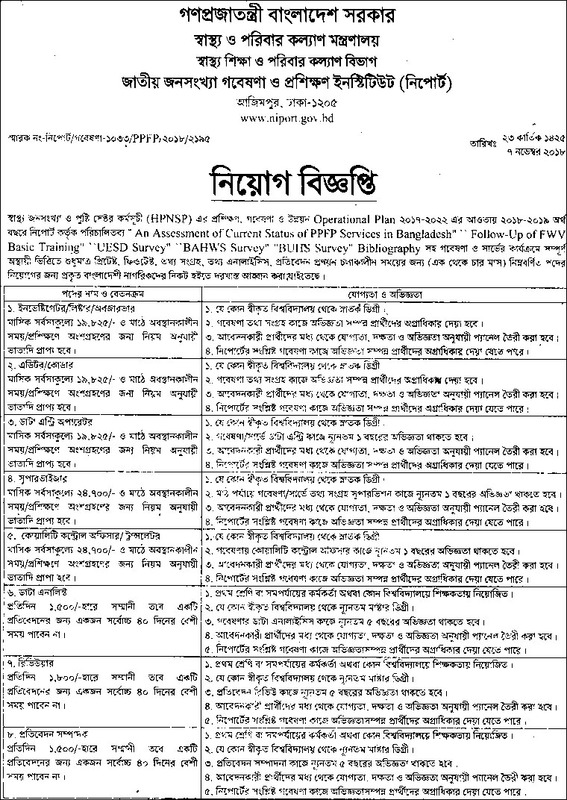 Ministry of Finance announced their job circular & looking for Cashier, Computer operator, Typist, Office assistant etc. ■ Benefits: As per Government Policies. ■ Experience : See Circular below. ■ Qualification: See Circular below. 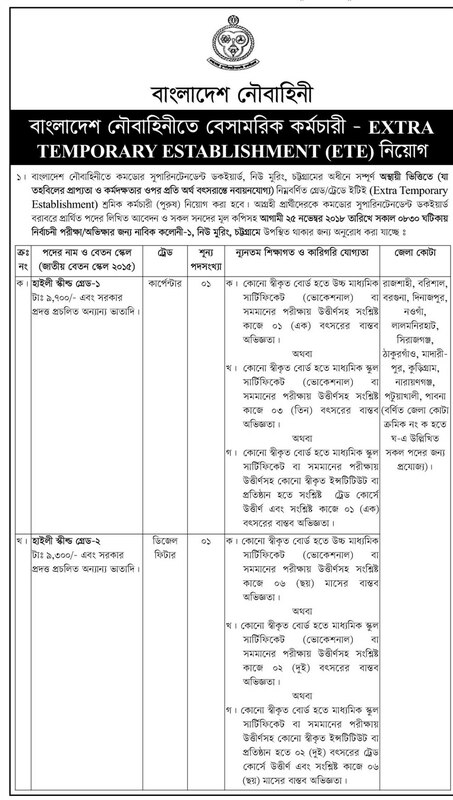 Bangladesh Nave announced their job circular for the post of : Commissioned Officer – Batch 2019 B-DEO. Designations; Driver, typist, waiter, office assistant etc..
■ Post’s Name: Assistant Director (Research) & other posts – see image for more details. 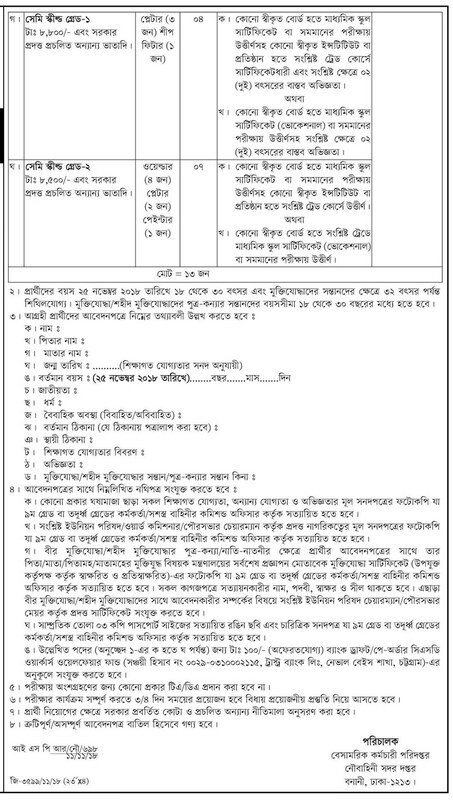 ঢাকা উত্তর সিটি কর্পোরেশন, পদ সংখ্যা ২৫০টি। Dhaka North City Corporation Job Circular- Total positions 250 nos. Department of Women’s Affair have a new circular to recruit people on various sector. Bangladesh Police Job Circular 2017 (Police Headquarter) announced their new job circular. Here with we have attached for your kind information’s. The job application form is also attached with the circular. Jibon Bima Corporation looking for Accountant, Manager, System Analyst, Assistant Programmer, Junior Officer, Data Entry Supervisor, Data Entry Operator. See details on the circular. Bangladesh Railway looking for position of Station Master, Ticket Collector, Booking assistant at Chittagong & Rajshahi. There are 3 circular below for your consideration of knowledge. Here we bring a new circular what announcing to recruit for the post of Computer operator, Cashier, Office Assistant & much more. Please see below or visit the official site of Ministry of Food.